Have you ever wanted to just get away to a place where no one would think to look for you?There are people that dream about going to that place. Popular vacation spots are just that -- popular. Everyone thinks about going to the same place for a get away. The normal spots seem to be Hawaii, the Bahamas or even Paris, France. It’s time to cancel out all those usual hot spots, and think of going somewhere different. There are so many cozy little places probably right in your own state or town that are not on the long list of places to visit. Those places are the quiet as kept little secret hideaways. How many people would think about Georgia being a place to go for a vacation? Not too many, and that is exactly the point. Helen, Georgia is home to luxury cabin rentals. Yes, I said cabins. Do not go thinking about log cabins back in the days of Abraham Lincoln! Cabins are now much, much more than that. We have over 40 wooden cabins for a family vacation, a couples’ retreat, or a just a private get away. A trip to the outdoors provides a lot of options for fun and adventure. 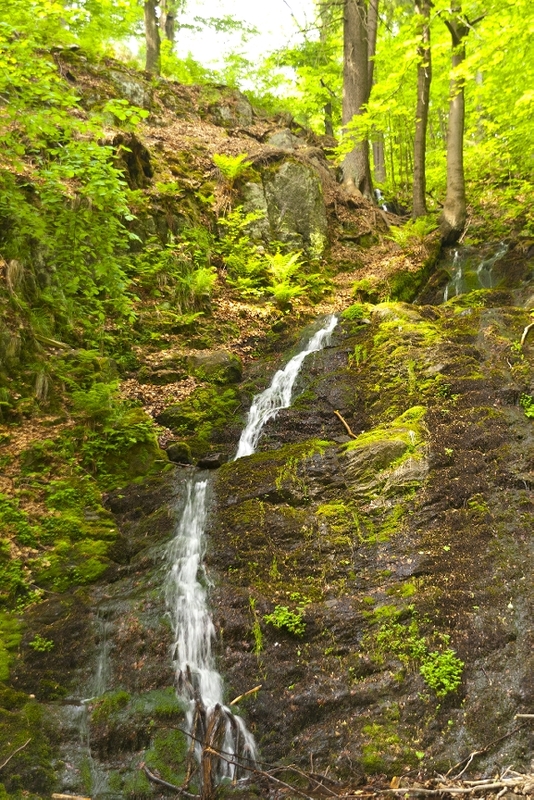 Northern Georgia has the beautiful scenery of the mountains where the joy of mountain climbing and hiking is heightened. A nice bike ride along a forest trail is very therapeutic for anyone wanting to just take in the mountain air and escape into luxury. For the family, take a fishing trip together. The kids will also enjoy rafting, swimming, and the breathtaking backdrop of the waterfalls. A water park is always an attraction for spectacular fun for the family, as well. You can also stay indoors and visit the historical museums and galleries in the area. Let’s not forget the pets! Yes, man’s best friend and its favorite rival can tag along with you on the trip the cabins can accommodate any member of the family. If you long for a peaceful, secluded and romantic experience for two.... Enjoy fine dining, a romantic horseback ride together, or a relaxing and intimate moment in the outdoor hot tub. Let’s not forget one of the most relaxing experiences anyone could indulge in -- a spa treatment. Couples will rave at the idea of being pampered together. For those that want to boost their health while relaxing the mind and body, a health and wellness program can be an added treat. This retreat provides workshops to demonstrate how to have a better eating lifestyle when choosing healthier foods in your diet. Relaxing the mind can be very beneficial to your overall health. People have to take the time to regroup and revitalize their lives or they will drive themselves crazy with worry over the everyday things in life to deal with. When a person decides to concentrate on improving their health and restoring their spirit, it can bring happiness and balance to an otherwise overwhelming existence. This is possible for an individual, a family, and couples seeking to improve their health and connection to each other. 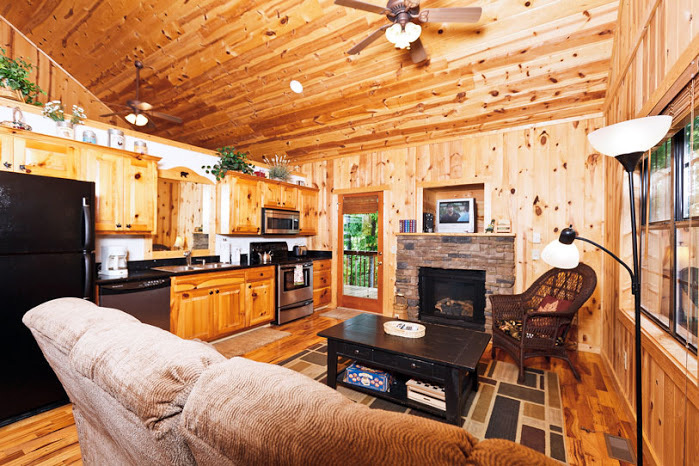 The mountains of North Ga may be a get away dream vacation offering peace and quiet, but it still provides the modern conveniences of fully equipped kitchens, cable television, the Internet, and much more. Visitors enjoy themselves to the upmost that they become repeat customers, and tell their family and friends about their experience on a luxury cabin vacation in Helen, Georgia. Now it’s your turn to escape from the mundane stresses of your life. How can you pass up the tension releasing joy of an outside hot tub on a porch? No excuses about not having the time or that you cannot spare the money! If you had the chance of receiving peace of mind, the chance of bringing the family together for fun, or giving you and your loved one some much needed private time away together, could you really afford not to go on this life changing adventure at the luxuriant cabins in Helen, Georgia?